The Piatigorsky International Cello Festival invites the public to attend a series of workshops, forums, and panels for cellists and music-lovers, alike, most of which are free. 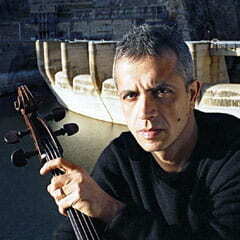 Italian composer and cellist Giovanni Sollima communicates music full of Mediterranean rhythms, with a melodic vein typically Italian in nature. 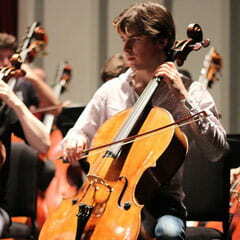 He writes mainly for the cello and contributes significantly to the creation of new repertoire for the instrument. 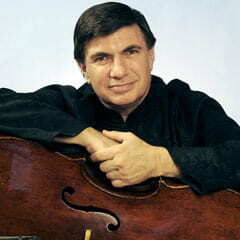 Sollima leads a workshop in improvisation geared towards helping cellists express themselves more fluently through their instruments. This event is free. Seating is first-come, first-served. Four of Piatigorsky’s outstanding former students—Laurence Lesser, Mischa Maisky, Jeffrey Solow, and Raphael Wallfisch—celebrate the career of their great teacher through film and panel discussion, hosted by KUSC executive producer Gail Eichenthal. 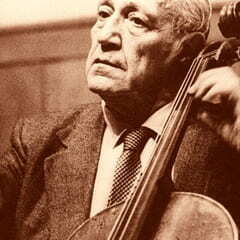 The spirit of Festival namesake Gregor Piatigorsky will be present not only in the recollections of his students, but also in images and the sound of his voice. The Young Cellists Workshop, directed by Festival artist and UCLA professor of cello Antonio Lysy, gathers selected pre-college-age cellists for a morning workshop. At 10:30am, their work will be showcased in a performance. The Workshop will be followed at 11:00am by a panel on Fine Instruments. 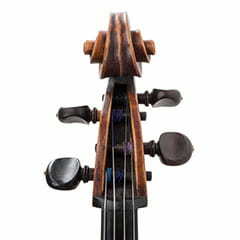 The Piatigorsky Festival gathers five international instrument makers and dealers, together with Festival artistic director and USC Thornton Strings Department Chair Ralph Kirshbaum and UCLA professor of cello Antonio Lysy to discuss finding and purchasing fine instruments. A Q&A is included. In this featured lecture, cellist Jeffrey Solow challenges some of the assumptions that musicians make when relying on urtext editions to dig deeper into the composer’s work. Instead, he argues, musicians can reach a more informed place of performance through research, logic, and intuition. Purchase of a ticket to the Closing Gala Concert allows access to this lecture.